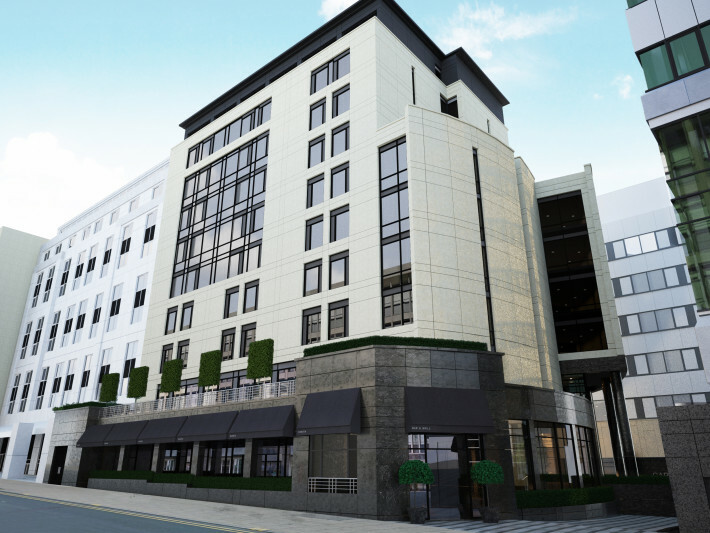 Full Architectural Service to provide a 90 bedroom 4 star luxury hotel in Leeds City Centre. 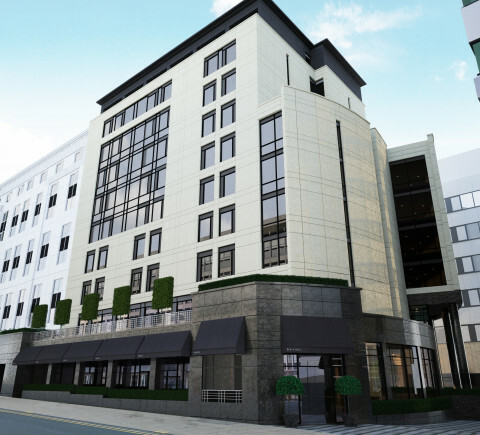 Work started on site to build a 90 bedroom 4 star luxury hotel on Russell Street in Leeds City Centre, to include new ground floor bar fronting Greek Street and improvements to public realm in Bond Court. Programmed for completion early 2017. 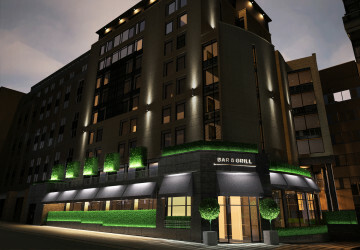 Above and Left – ‘Day and night’ 3D Visualisations produced by KPP Architects (3D Visualisation Department) showing how the hotel will look once completed. Above – Entrance night shot 3D Visualisation produced by KPP Architects (3D Visualisation Department). 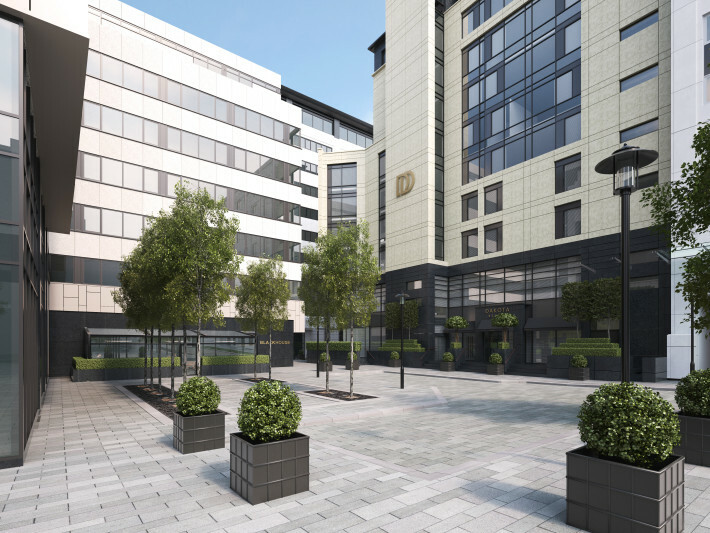 Right – Bond Court Public Realm 3D Visualisation produced by ADS Ltd.